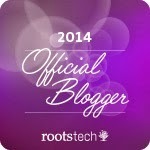 Thank you for visiting The We Tree Genealogy blog. You'll find it has a bit of everything in genealogy from helpful tips and personal research to my own experiences battling the copy machine at the library. I was born and raised in California, but now live in Texas with my family. Thus, you might hear me say "dude," "totally" and "y'all" in the same sentence. I have a master's degree in library and information science from San Jose State University. My concentration was special libraries and I took every class I could about online searching and advanced research. I find genealogy information in the darndest places and I like showing others how to do the same. Family history is part of every day life. If you take the time to do the research, you know where you came from. If you know where you came from, you're given a sense of purpose to guide you where you're going. You will see this theme throughout my writing as the pursuit of family history is always mixed into the daily grind. I am also a citizen of the Chickasaw Nation.